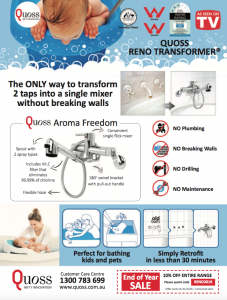 Categories: Bathroom Tapware and Shower Areas/Screens. 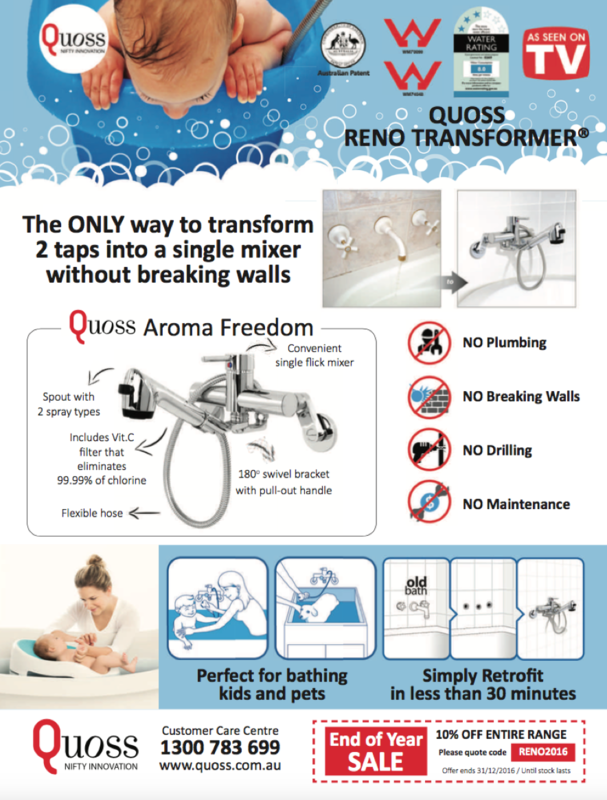 The QUOSS Reno Transformer is the only way to transform 2 taps into a single mixer without breaking walls: DIY; no plumbing; no breaking walls; no drilling; no future maintenance. It provides a simple DIY retrofit in less than 30-minutes.